Time for a little Q&A. Someone asked me what Advent book we use with our kids and what I might recommend. You can read our full thoughts on this title HERE. Also, you can read Annette from This Simple Home's endorsement of this title as well. Her kids are close in age to mine and she loves using this book also. 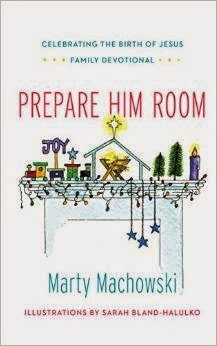 This year I was given an opportunity to review Prepare Him Room , a family devotional by Marty Machowski. I read through the first half of this book and flipped through the second half and ultimately decided it wasn't a great fit for our family. That said, I do think it's a solid book that ought to be considered by families. I would categorize Prepare Him Room and say that it is best used by "teacher types." This is a thin book but it is laid out like a well organized lesson plan, complete with specific scriptures to read, songs to sing and science experience/art projects to help drive the lesson home. Please understand that there is absolutely nothing in this book that I didn't like. It just is not a good fit for me because I don't like a book to put me in too tight of a box or structured system. This is likely not at all what Marty Machowski intends but that's how it feels to me. I can think of several friends (coincidentally, all of them are teachers) who would absolutely love this book because it removes the need for a lot of your own thought process to come up with appropriate songs or activities to do to share a message. This book is, as I say, very orderly and, should you choose to use it, you can begin and end your Advent season knowing that you covered all of your bases. It is a nicely put together curriculum and I know some people will love it for that reason. If you prefer things organized for you, this book is for you! Many thanks to New Growth Press for sending a copy my direction in order to facilitate this review. I received no additional compensation and all opinions are my own. Once upon a time I reviewed a couple of different advent books that I had purchased myself. 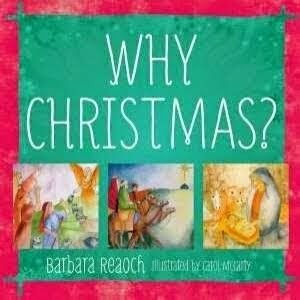 I have tossed all of them in favor of Why Christmas? In a few years, I'll no doubt need to find another resource but for now this is what is working for us. I didn't realize that I like a script, but I do. BUT tonight I had a lot of catch-up to do with Advent...and so I asked the children to tell me about the subject matter since it was familiar to them. They did great, and it was FUN!